Become an accredited supervisor and an expert in coaching supervision. Make a difference to your practice today. Our next intake is April 2018. While coaching is about you as a person, supervision explores the nature of your relationship with the people you coach and your developing practice. Find out more about our ‘Trust and Safety in Supervision’ research, conducted by Ashridge in Spring 2016. Supervision makes an important contribution to the professional development and quality assurance of consultants and executive coaches. It can be a key differentiator in the marketplace and is increasingly central to many formal consulting and coaching qualifications. This 14-month part-time programme was developed by experienced practitioners who have a combination of supervision, research, psychological and organisation development (OD) experience. The qualification will give you the skills, credibility and confidence to offer a new service to your clients. It is designed to build your status as a senior practitioner and supervisor of coaches and consultants. Aimed at experienced OD consultants and executive coaches, this is an opportunity to be supervised on any aspect of your work, individually and as part of a group of equally experienced coaches. You will learn how to supervise other consultants and coaches effectively. As with all Ashridge coaching programmes, this programme takes a relational perspective. It develops your theoretical knowledge of the psychological underpinnings of supervision and your critical evaluation of supervision models and theories. It is structured around three modules. The first two are based on a series of six intensive workshops, spread across the 14 months - each lasting two days. The third is the accreditation module. The Ashridge perspective on coaching and consulting supervision has been the subject of a number of articles and publications. We also run Coaching Supervision sessions which either form part of the qualification or can be purchased individually. Ashridge sees supervision as an essential quality assurance process for coaches and consultants. It ensures that the client benefits from a professional consultant who is equipped with the insight and personal resourcefulness to make a difference. We believe that the power and effectiveness of supervision stems from the possibility for new scrutiny and fresh perspectives. We take a broadly relational perspective on supervision, based on personal experience of effective coaching and the themes and issues at the core of the process. ‌•The supervisee’s experience of the supervisory relationship is worth enhancing. ‌•Having more confidence in your abilities and being able to introduce new knowledge and skills in your daily work. ‌•Your increased self-awareness, knowledge and network could make you a candidate for senior level positions in the organisation. 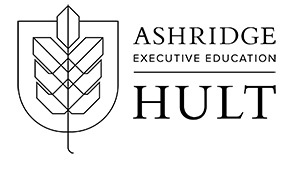 Find out more about The Ashridge Difference https://www.ashridge.org.uk/qualifications/the-ashridge-difference/ and what makes an Ashridge Masters so relevant to business today. Alternatively, read our participant case studies https://www.ashridge.org.uk/qualifications/postgraduate-certificate-in-advanced-coaching-and/participant-insights/ to find out how this qualification has benefitted them. Visit the Post Graduate Diploma in Organisational Supervision page on the Ashridge website for more details!